Were I any good as a poet. . .
Oxfordians accept the minute quantity of contemporary praise for Oxford’s literary efforts at face value and lionize him as a man of letters. In spite of some hilarious shortcomings as a versifier, many do not hesistate to describe him as the greatest court poet of his day, in an age where the bar has never been set higher. Yet the commentary on Oxford's poetical work least likely to be affected by issues of patronage comes from the renowned court poet Sir Philip Sydney. And it isn't complimentary at all. Oxford and Sir Philip did not get on. They were on opposite sides of the marriage dispute in the 1570s, Oxford favouring a French marriage, Sydney against. 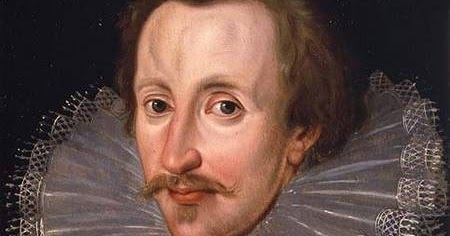 In August 1579, when Oxford was 29, they famously quarrelled in a tennis court and Sydney tried to finesse Oxford into challenging him to a duel that the Queen subsequently prevented by direct intervention. Sydney’s answer, which dates from 1579 and may even have had something to do with the duel, applies a little more thought to the issue. The repetition at the beginning of Oxford's first two lines is done for effect this time, rather than the sort of careless repetition we see elsewhere in his verse. The effect is rather unappealing, however, so Sydney does not echo it. The second line of Sidney’s reply uses a grammatical compression that is nowhere evident in Oxford’s work. ‘Since empire none’ contains no verb. It is a compression of 'Since I would have no empire' and sits in apposition to the remaining half of the line. Using the same technique, Sydney could have eliminated the words 'Were't thou' and ‘But were’t thou’ in the third and fourth lines but there is so little matter in Oxford’s six lines that any more compression would defeat the object of the exercise by making the riposte unrecognisable. Sydney’s tone is that of a disappointed teacher correcting an unpromising pupil’s homework and the change in sentiment is a direct rebuke of the arrogant, self-obsession shown in the original. 'Were I a King' can hardly be ascribed to Oxford’s juvenilia. Sydney would not have picked on Oxford’s schoolwork to ridicule him. This is Oxford, after his fall from grace, bemoaning his lack of respect and the unwelcome publicity his misdeeds attract. Lack of respect is one of the Earl’s regular themes but is found nowhere in Will's work. Though the second poem here is significantly better than the first, neither work is of sufficient quality to appear on even the outer fringes of the Shakespearean radar screen. Sydney is the more accomplished writer, but neither of these men are in Shakespeare's League.